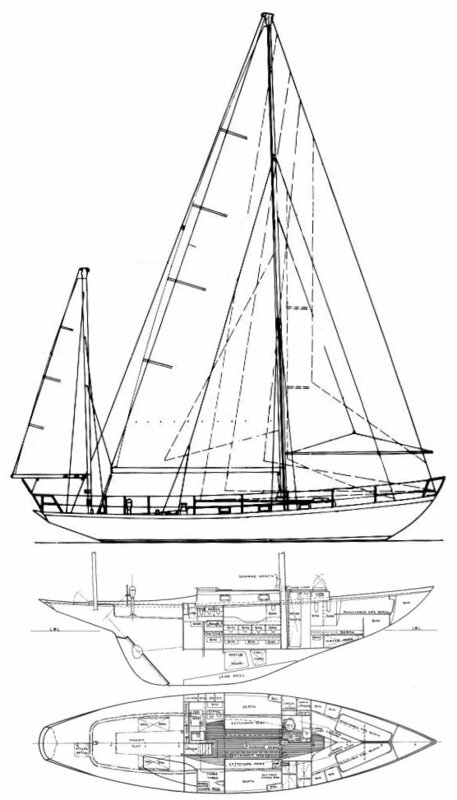 A few of the FG version were sold to individuals as sloops/cutters. (See ANNAPOLIS 44). Naval Academy boats were passed on to the US Coast Guard Academy for a few years before being sold off to individuals. The layout shown here is for the original wood version. Thanks to Mainbrace 76, and several others for providing additional background information. Fiberglass (1963) version shown above.